The sound at top with wireless camera receiver MCR42S (S3 Version) and Wireless bodypack transmitter MTP40S/MTP41S. MCR42S is a camera receiver designed for best-in-class performances. Four receivers are internally coupled by two in a real TRUE DIVERSITY CONFIGURATION. 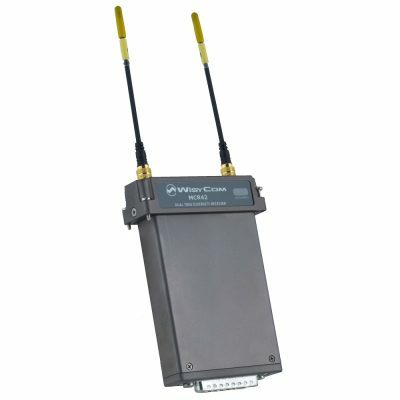 Its front end has a chain of microcontrolled-driven movable filters to allow BROADBAND OPERATION up to 240 MHz with great selectivity. It allows the selection by software of the type of outputs on the Top Feed and Base. 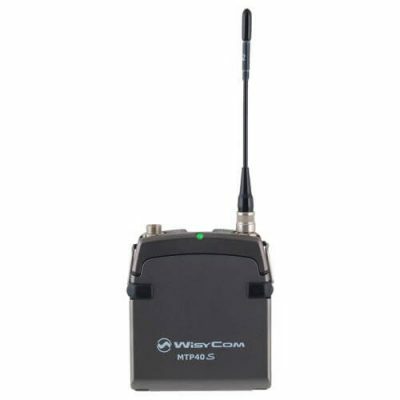 The wideband bodypack transmitter MTP40S is an extremely small and light pocket transmitter especially designed for professional wireless microphone applications. Very easy and quick to use thanks to OLED display, dedicated buttons and a joggle selector. MTP40S benefit also of the latest Wisycom RF technology along with an enhanced robustness against noise and inter-modulation. Contact your dealer for further information about the promotional campaign (Validity until 30th of April 2018).